Our journey to Billsoro Winery and Vineyard began in 1992 when we met as Peace Corps volunteers in Tunisia. Upon our return to the hectic pace of stateside living, we soon realized we were not cut out for suit and tie and city life. After a honeymoon to the Pacific Northwest and northern California, we knew what we wanted to do. Vinny left his job to become a winemaker’s apprentice on Long Island and began to learn the art of making wine. 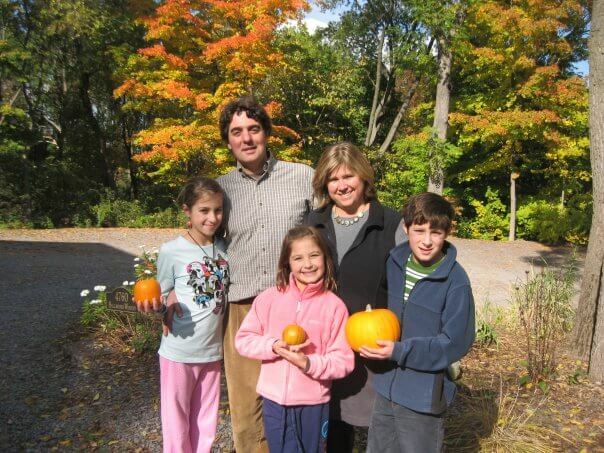 Vinny, Kim, and their three children during their first harvest season at Billsboro winery. 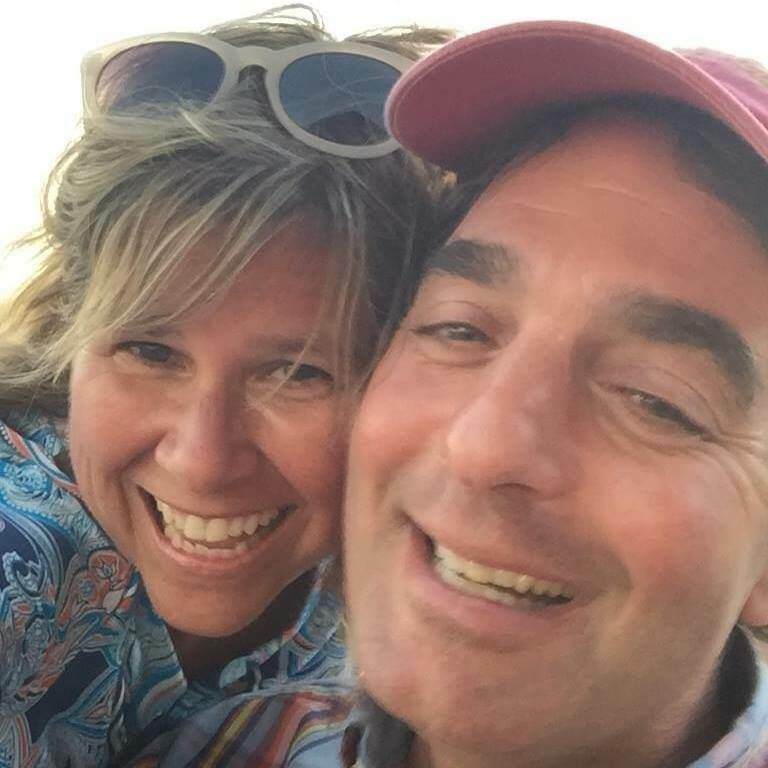 Our first debt of gratitude is to Bob Pool and Jennifer Morris, who started Billsboro Winery and thought of us when it came time to sell. They cleared the land, planted the vines, transformed an old barn into a beautiful tasting room and opened up Geneva’s first winery. Without their vision, there would be no Billsboro Winery. In addition, we thank Ted Marks and Atwater Estate Vineyards for making this venture even thinkable. We would also like to thank the Department of Horticultural Sciences at the NYS Agricultural Experiment Station (NYSAES). In particular, Martin Goffinet, Harvey Hoch, and Mary Jean Welser, for their help with the images for our labels. And finally we send out a heartfelt thank you to the many friends and family members who have helped us in both large and small ways to make our dream a reality. Join us to taste refreshing, artfully crafted wines, relax on our deck, and enjoy the view. We promise you a memorable experience.